What Day of the Week Does the 4th of July Fall? Independence Day in the United States, also known as the Fourth of July or simply July 4th, is a federal holiday. The holiday is always celebrated on July 4th, although when July 4th falls on a Saturday or Sunday, the federal "day off" is extended to Friday or Monday, respectively. What Are You Celebrating on Independence Day? Independence Day is a celebration of the adoption of the Declaration of Independence on July 4, 1776. 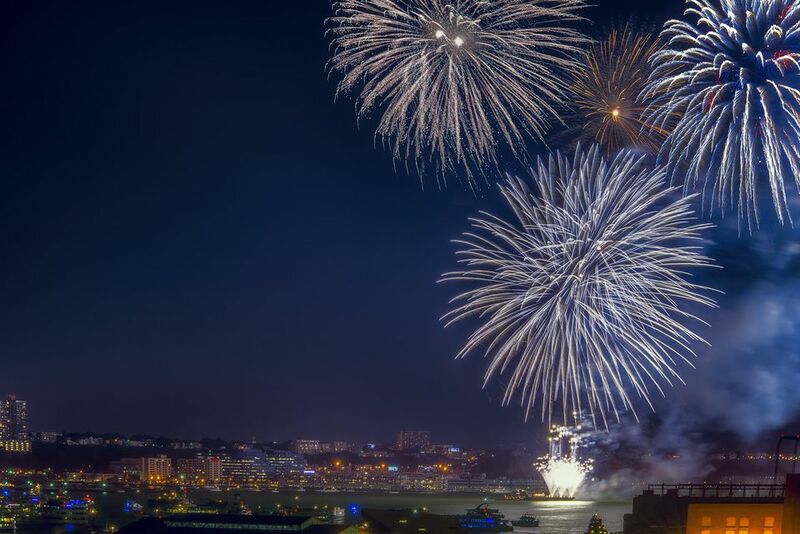 Independence Day traditions include patriotic parades, concerts, outdoor picnics, fairs, festivals, and other events, many culminating with spectacular fireworks. On the day of the holiday—and the days leading up to it—it is not unusual for many people in the U.S. to dress in patriotic red, white, and blue attire or festively decorate the cities and towns with American flags and similarly colored bows and bunting. The colors of the American flag add to the spirit of the holiday. The first week of July is one of the most popular times of the year for vacations, as summer travelers make the most of the holiday with long weekends or extended vacation stays. Despite the overwhelming heat in central Florida in July, Disney World is at its peak this time of year. Because the Fourth of July week is such a busy travel week, it is important to plan your trip and make all necessary reservations as much ahead of time as possible. Since July is the middle of summer, and most destinations are at their peak temperatures, you might want to plan travel to a northern destination that is normally brutally cold in the winter. Some popular destinations for travel in summer include grabbing some lobster rolls in Portland, Maine; planning beach activities on Lake Michigan in Chicago, Illinois; enjoying the patriotic festivities in Boston, Massachusetts; or seeing the glaciers near Anchorage, Alaska. Generally, you will find the best rates if you book six weeks or more in advance. Any later than that and you will be paying a premium for both air and hotel. You may be able to find some last-minute specials (but that is rare, especially for July 4th weekend). Popular destinations around the time of July 4th book up quickly. If you travel or book a flight or hotel on the weekend, you will find the rates will be higher. For example, if you are planning to go away for July 4th weekend and the holiday spans the weekend, then airfare on the Friday or Saturday of the weekend will be considerably more expensive than if you booked the flight for the Wednesday or Thursday before the holiday. Generally, ending your travel mid-week will be less expensive, too. When July 4th falls on a Saturday or Sunday, the federal "day off" is extended to the Friday before or Monday after.